In Leading Lawyers Magazine, Business Edition, published this week, Thomas A. Demetrio was selected for the Top Ten Leading Lawyers in ALL practice areas in Illinois, ranking third. Tom Demetrio is a Co-founder of Corboy & Demetrio and has amassed settlements and verdicts totaling more than $1 billion. 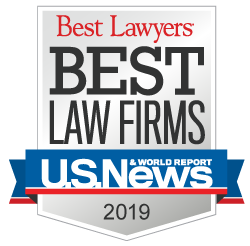 The magazine is published by Leading Lawyers Network, an attorney rating service in Illinois that’s based on unbiased voting by a lawyer’s peers. A law firm cannot nominate its own attorneys nor can it pay for a nomination. Leading Lawyers, Business Edition, also named Corboy & Demetrio partner Rene Torrado a Leading Lawyer in the areas of Antitrust Law, Commercial Litigation and ADR Law: Commercial Litigation.